Processing time 2 - 3 sec. Tailor made tools for smoothening and work hardening of spherical surfaces. The tool contains conically arranged rollers. 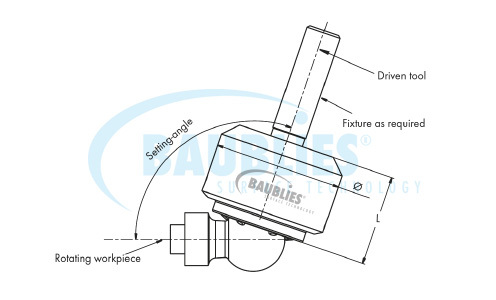 It is positioned to the workpiece under a defined setting-angle. Both workpiece and tool must rotate. During this process the spherical surface is burnished „line by line“. Quickrequest: "Data sheet ball burnishing tool"